Mumbai: Ranveer Singh’s upcoming sports drama, 83 is grabbing headlines for many reasons. Recently we saw some images from the sets of the movie in Dharamshala, Himachal Pradesh. The movie tells the story of India’s first cricket World Cup win in 1983. 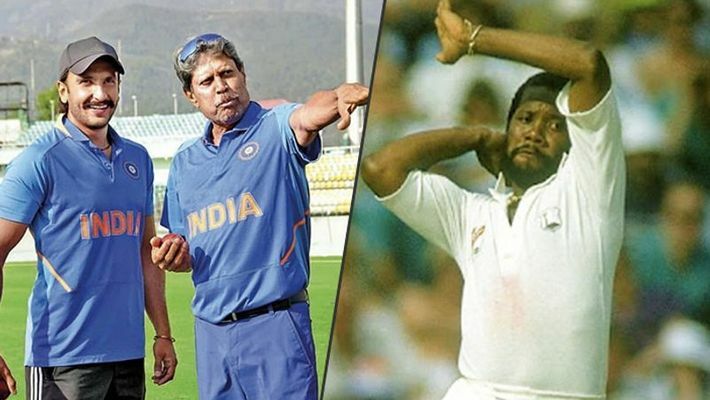 Team India led by Kapil Dev had defeated West Indies by 43 runs around 36 years ago. Ranveer has already revealed the first look of the reel team which will essay the roles of the cricket stalwarts. The movie is again in the news because of another addition after Chirag Patil, who has stepped into the shoes of his dad and cricketer Sandeep Patil. We are talking about the West Indies player Malcolm Marshall’s son, Mali, who will be playing his late father. A source close to leading daily Mumbai Mirror revealed the same as Mali is a fast bowler and a middle-order batsman like his father and suited the part perfectly.” This is being done to keep the film realistic. Director Kabir Khan reportedly is also in talks with sons of other famous West Indian players.